TraviPro is a Travel Technology Company, offering travel solutions for small to large travel business enterprises in a very cost-effective manner. 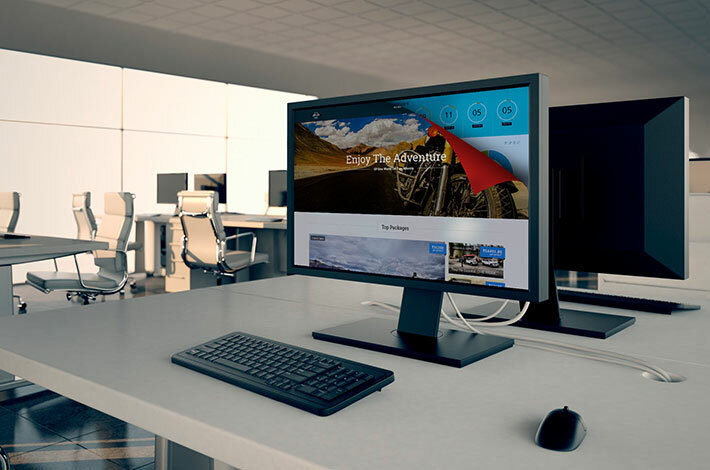 We have more than 14+ years of experience in developing travel websites along with advanced travel related solutions. We completely understand the essence of travel industry and deliver solutions to simplify the business processes for travel agencies and tour operators. We offer innovative travel websites that are custom designed, with elegant look, responsiveness, and inbuilt dynamic modules such as package management, destination management, testimonial management and much more. The custom designed travel website helps you to stand ahead of your competitors. We also provide complete tour & travel package management tools which is highly-interactive and can be easily adopted by anyone. Apart from this, we have an array of travel services such as Travel Mobile websites, custom travel applications, travel website promotion, digital marketing, XML / GDS Integrations, and many more to suit your precise requirements. We work as a partner and share innovative ideas to enhance better user experience to your customers. We constantly implement uniqueness and innovations to improve our valuable client’s business productivity. "Our mission is to develop unique & robust travel solutions for customers that simplify their business processes within the shortest time frame."